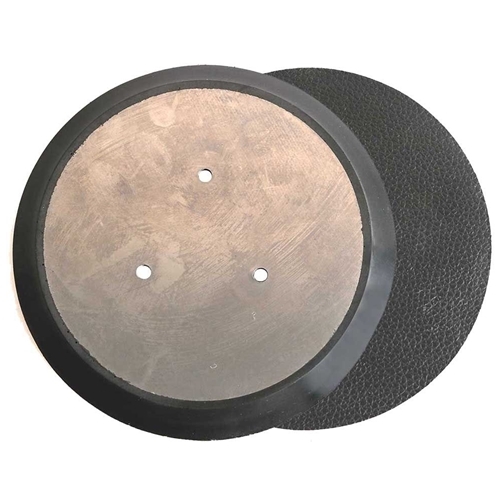 Superior Electric RSP30 5-Inch Sander Pad (PSA/Adhesive Back, 5 Vacuum Holes) replaces Porter Cable 13901. 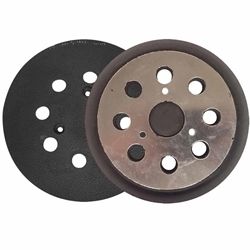 This pad will accept 5-inch adhesive-back sandpaper discs with five holes. 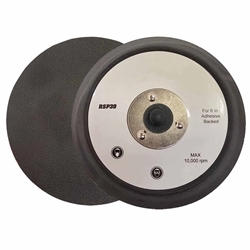 The RSP30 also converts models 333 and 333VS random orbit sanders for use with five hole adhesive-back paper. 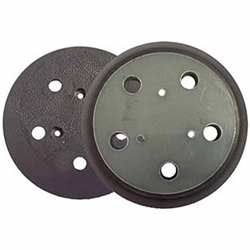 Superior Electric Sanding Pad disc,RSP31 replaces Porter Cable 13900, has a standard PSA/adhesive-backing. Size: 5-Inch. The RSP31 fits the Porter Cable 332 random orbit sander. Superior Electric RSP32 5-Inch 5 hole adhesive back pad replaces Porter Cable 14700 & 874667 the standard pad on random orbit sanders (fits Porter-Cable models 7334 and 7335). 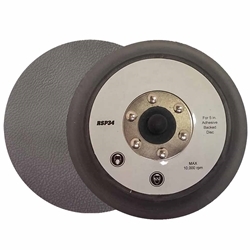 Superior Electric RSP34 Random Orbit Sander Pad, whether you're performing molding preparations or buffing up metal. 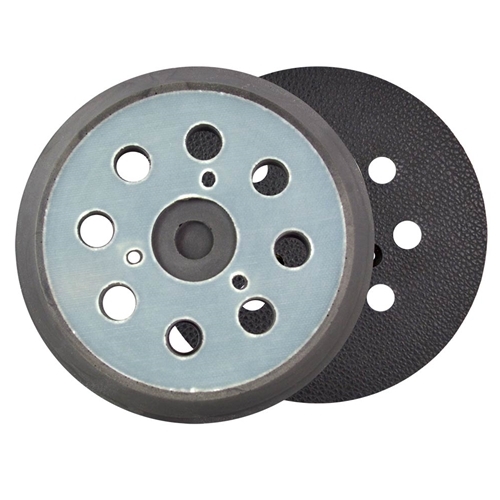 With the convenience of a built-in mounting thread, this high quality adhesive-backed pad affixes effortlessly to the sander and is engineered with a 5-inch diameter to accommodate 5-inch adhesive backed sandpaper discs. These adhesive backed sander pads are compatible with Porter Cable Orbit Sanders (7334 and 7335). 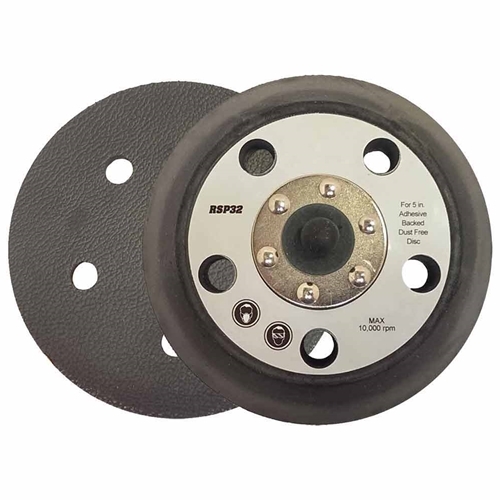 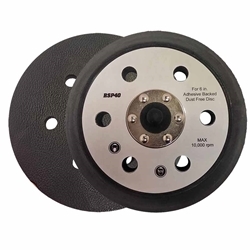 Superior Electric RSP39 pad sands flat surfaces to their smoothest and features built-in mounting thread for quick and efficient installation. 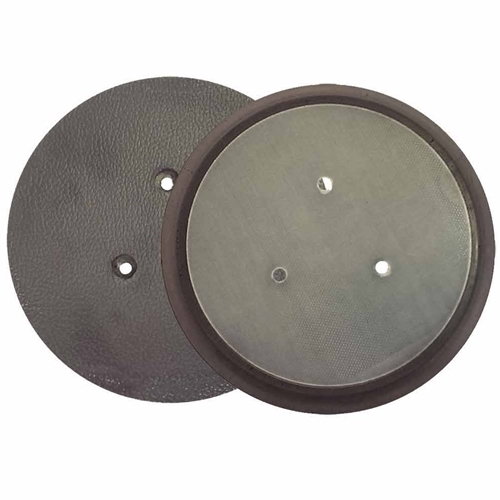 The 6-inch diameter easily accommodates 6-inch adhesive-backed sanding discs and protects the discs from damage. Superior Electric RSP40 replaces Porter Cable 17000 will sand flat surfaces. 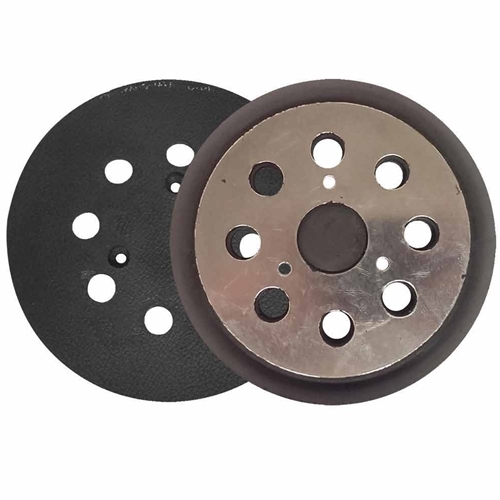 This pad will accept 6-Inch 6-hole adhesive-backed sanding discs. It installs easily with built-in mounting bolt. The Superior Electric RSP40 fits Porter-Cable 7336 and 97366 Random Orbit Sanders.